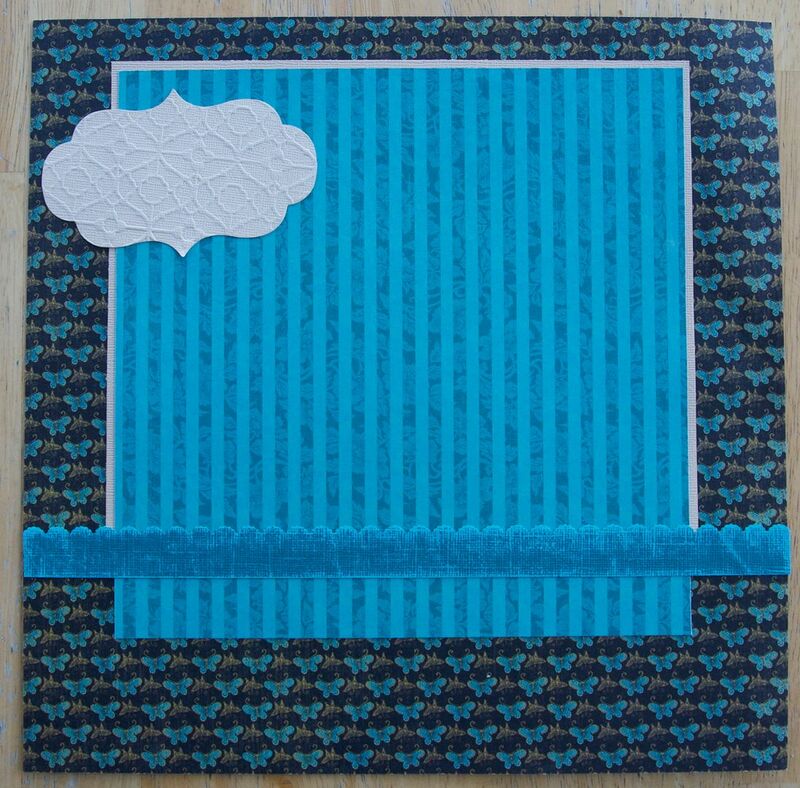 I Love that we have been doing a blog hop with Graphic 5 all week. How fun! 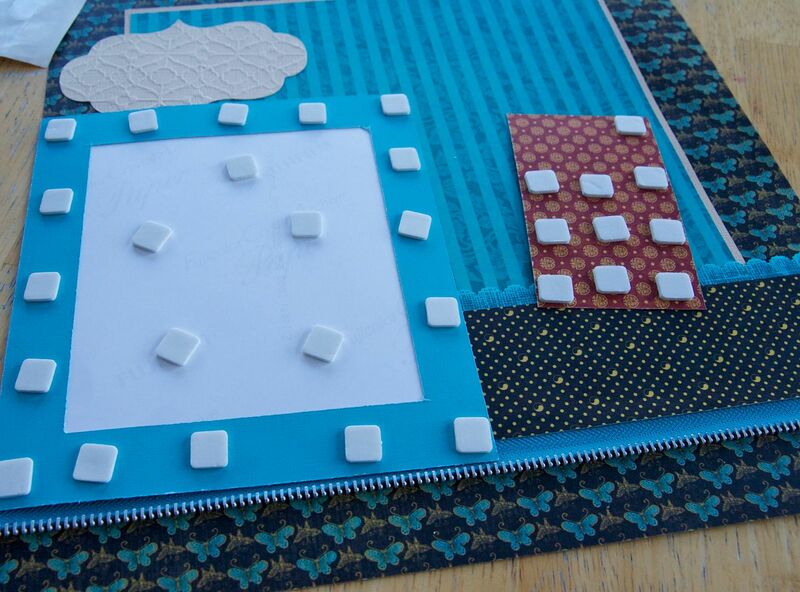 Be sure to go to Scrapbook Adhesives by 3L to see my complete project. 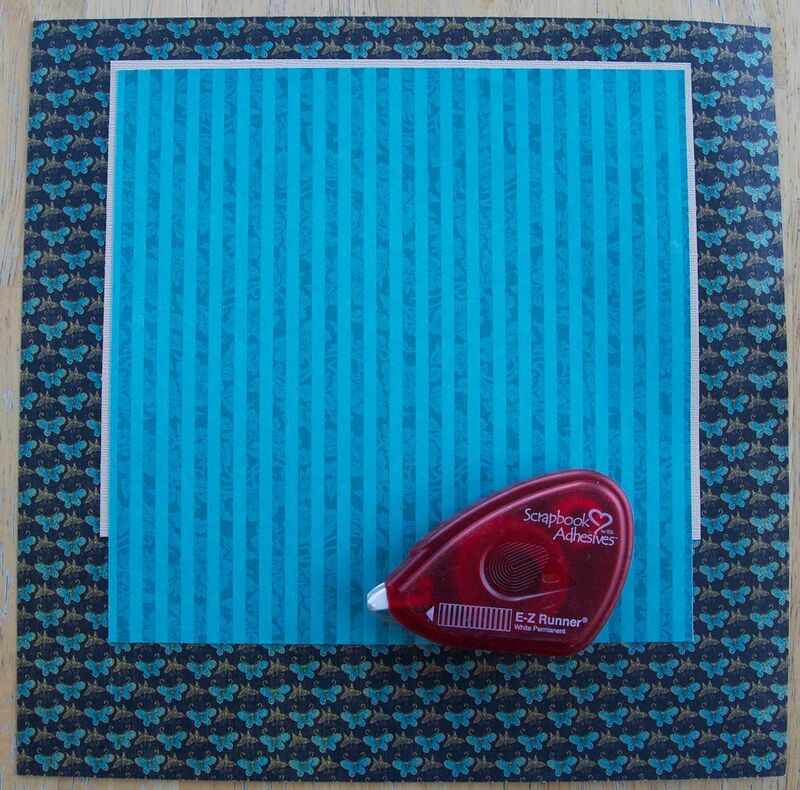 Step 1: Cut your patterned papers to the right size and adhere with the EZ Runner. 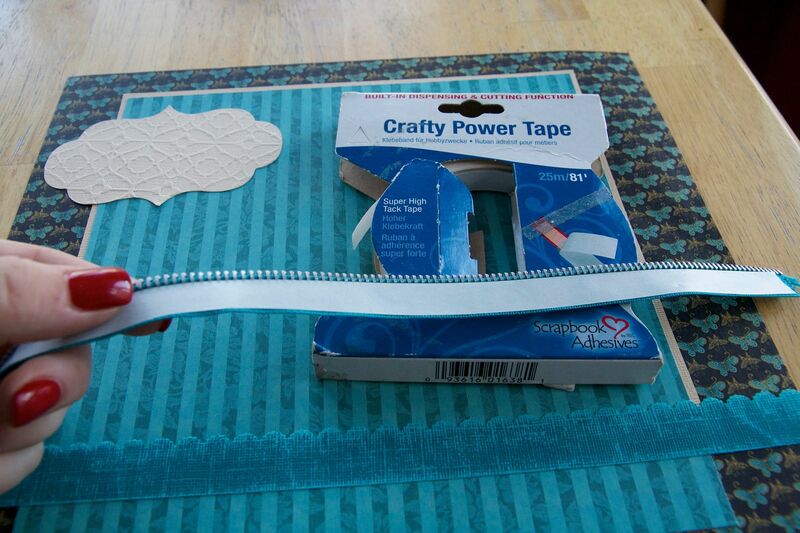 Step 2: Cut out your favourite shape and then put adhesive on the back of that. 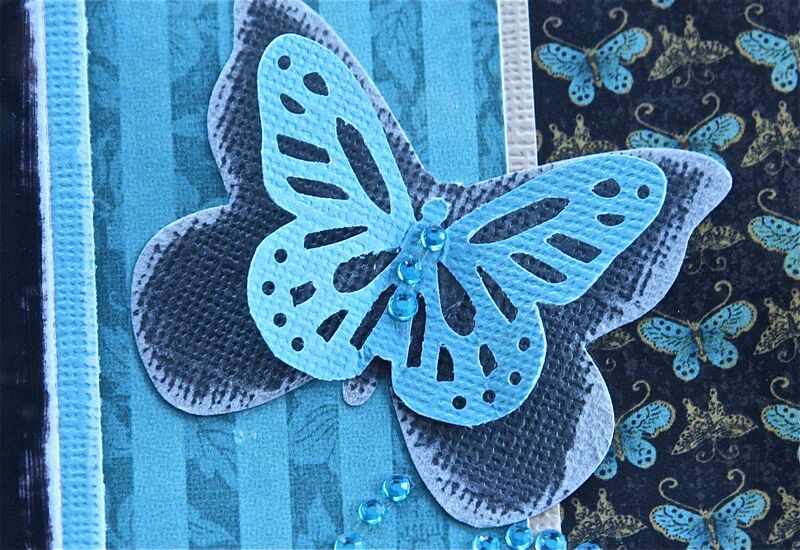 I used this Tim Holtz die. Such a pretty shape. And since it is paper on paper, I stuck to my red runner once again. Step 4: Now because I want to place a Maya Road zipper down, I need a stronger adhesive for this. So I got out my Crafty Power Tape. It is much more durable for this kind of job. 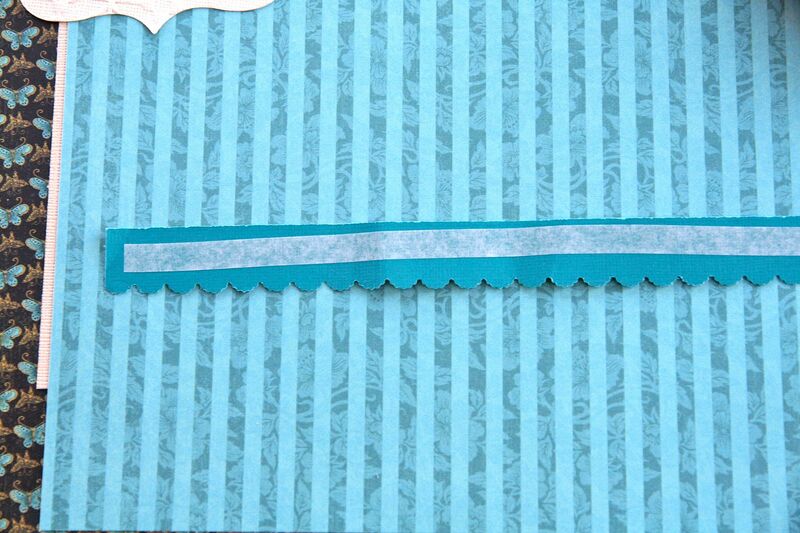 Step 5: This strip I cut is now going to seam all the pieces together. You will notice above that all the papers don't quite match. I tend to only use what I need and save what I can use for somethign else. Step 6: This project needs dimension!!!! So I broke out my fabulous 3D Foam Squares and covered everything I wanted raised. Don't be stingy. Step 7: Let's raise those butterflies wings. For the base butterfly I used 3D Foam Squares, but for the center wings I only put a medium Dodz in the center and bent the wings up so they look like they are flying. 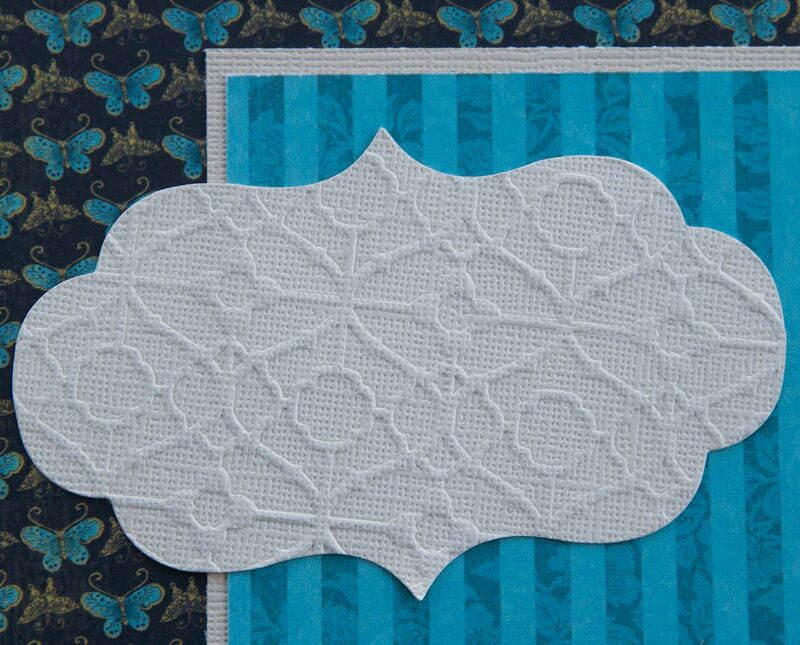 Add some Queen & Co rhinestones, decorate, journal, and you have a finished page! 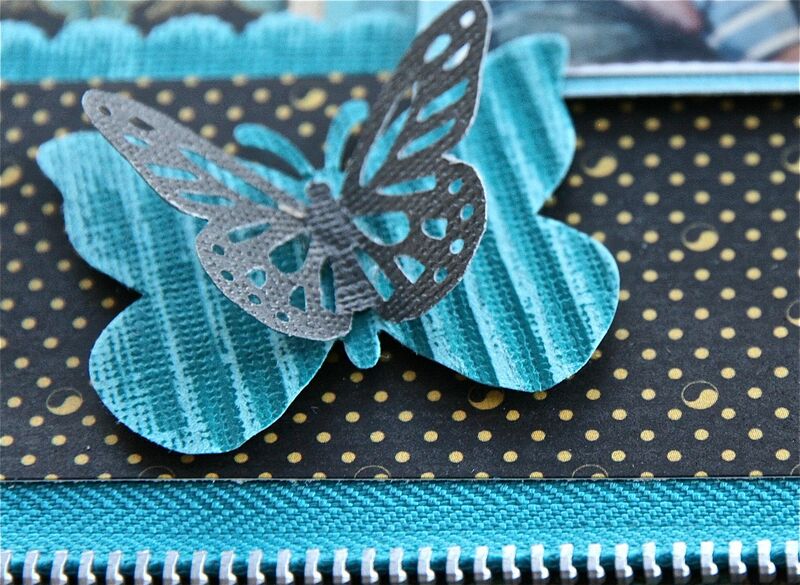 To see it, go to Scrapbook Adhesives by 3L. Don't forget to "like" us, and leave comments, there are lot's of ways to stay in touch. Seems like a familiar tune this year with this blog. I have good intentions, take a lot of pictures, but just don't find the time to update it often. I think I was in a slump with wanting a change. So, when needing that creative outlet, you must go in search. For me, I came to the conclusion, I needed a blog make over. (one that actually happens.lol) So I've comissioned someone new to work on it in the New Year. I am STOKED. So that has got my heart going pitter patter working on fun stuff to send her. It in fact has motivated me big time! Of course lot's of my work is always for companies and I don't get to show you many sneak peaks, but this year I thought I might change that. I love doing CHA boothwork, it is highly fulfilling. And I am well ahead of where I usually am for CHA Winter. I've got a good chunk done already, and that feels fantastic!!!! Let's quickly catch you up on what has been occupying my time. As I write this, it feels like our Christmas letter. I didn't intend for it to be this way, but just rolling with it. So here is our Christmas Card to share virtually with all of you!!! The number one kid in my house that has a gazillion nickname changes. Right now, we tend to call her pips. She has went through these so far in her short 4yrs. Little Miss, Pipsqueak, Pixie, Monkey and now Pips. This little girl started 4yr old preschool. Going 3 mornings a week, which is fabulous. However that means I drive to and from the school 3 days a week. We had her in Speech Therapy for a group of sessions this past 2 months and we saw AMAZING differences. Much stronger in her pronounciatio of words. So that is AWESOME! Of course she is just an active little girl, soccer and dance every week, and trust me, if they let 4yr olds join our Tae Kwon Do, she'd be in there.She is counting down the minutes till Sept.2013 when she will be able to go with the boys. She really discovered Barbies this year, so her & I play Barbies daily, and sometimes the boys join in when I can convince them nice brothers do just that. So we also now have "Ken" dolls so the boys can play. Pips is definitely our fashion diva. She is more conscious about what she wears than any other child I know. Always likes to match, have her hair and jewelry accesories match. Pretty neat to watch. My fave is her in tights and boots. So cute! This kid is our comedian. always entertaining, always dancing, always on the move. Smiles and sinister looks always are letting us know he is up to something. But I couldn't possibly live without my daily dose of Jager! This is probably the most calm photo I have of Jager. Probably because he is embarassed I am taking first day of school photos while all his buds walk by. but tough. He should be used to it by now...REALLY! lol. He has kept us busy with an intensive social calendar for a Gr.2 yr old. He's got a core group of buddies since Kindergarten, and they are tight like a mafia group. He decided only to take Tae Kwon Do, hip hop and basketball this fall/winter. Basketball is a fist for us, recommended to take by his Gr.1 teacher. She told us he is amazing at it, I looked at her like she was nuts. But I trust her explicably, we enrolled him and who would've thought. The kid rocks at Basketball. So he's been enjoying that. and well Hip Hop is just his "groove". no surprise. We still have him in French tutoring, and I won't give up our spot with her till Ireland is out of school. She works with Riley & Jager and is just that perfect part of our week that helps the kids out with the French.Great confidence builder that we actually have the kids reading in front of the class now. Who would've thought any of my kids would've been shy to read in front of the class. Not me. This kid is the heart and soul of our family. The biggest help and the kindest kid EVER. Just one big walking hug. We've had such a fantastic year with him, and have actually stopped counting how many times we get calls from the teacher on how he helped out another student, or from other parents that he was there for their kid, we even had such nice calls from the principal and vice principal. One day a kid fell and got hurt at his bus stop, he ran and helped and the adults all told us, he reacted so fast and just immediately took charge to help. Neat things to hear. Cause you wonder everyday if you are doing things right. His strong points in life are definitely anything athletic. It just come naturally to him. This fall/winter season he is in soccer, tae kwon do and hip hop. Both boys did also play floor hockey for a few months. It's over now, but such good exercise. So as you can see I do a LOT of driving and activity watching during the week. Around 21 hrs worth a week to be exact. But that is exactly why I am a stay at home working mom. I don't want our kids to miss out on any opportunities. Now is really the time for them to figure out what sports they really enjoy, what activities they are interested in. Riley was doing so well, he got asked to move up to the advanced class. Kinda neat since he's only been in Tae Kwon Do for a yr. Already Yellow belt, black stripe. working on his green belt next. This kid however has discovered a passion for DC and Fox clothes. Ouch, those a nice and pricey. But on the same aspect, he's been saving and earning money like crazy. He's about 2 months away from being able to buy his own ipad. AMAZING drive! And he's got 100% on almost every single spelling test this year. Things like that just make us proud! He has to work so hard because surprisingly, the English language structure does not come easy to him at all. He's struggling but not giving up. Funny, he enjoys French so much. I always wonder if we are doing the right thing having our kids in French Immersion, but it's always the end goal I have in mind. As for Jim & I, well our life has drastically been inverted lately. We sold our semi & trailer, now to get out of gravel hauling and buy a new truck to do a different job. Always freaky starting something new. 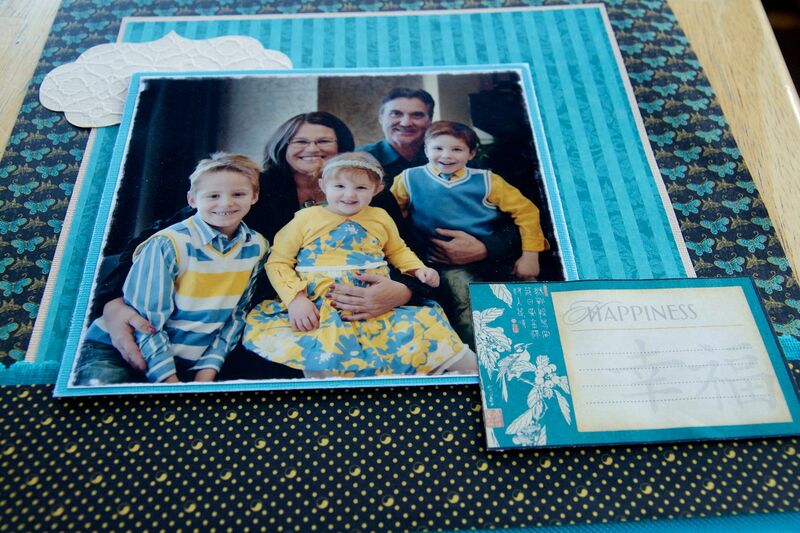 I'm still pretty consistent, lot's of scrapbook work, still traveling to teach and work at events. Less than before, as you can see, my home life is BUSY! But I still love it. Well, speaking of busy, gotta go pick the kids up from school, so I will try to keep up with the blog. Bare with me. Change is good, and I have had some exciting things happen to me lately, I can't wait to share!